How to Play a WMV File on a Standard DVD Player? 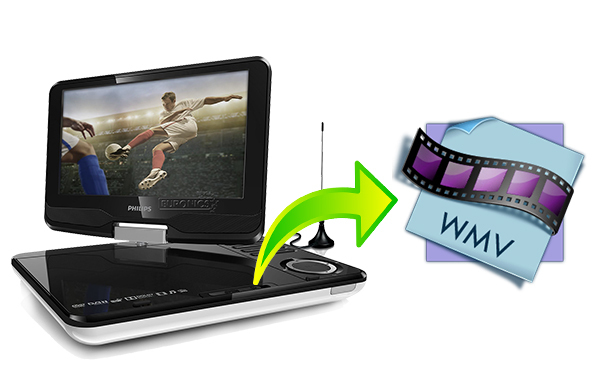 In fact, there are two ways to play WMV on a DVD Player: method 1: burn WMV to a DVD; method 2: convert WMV to DVD player supported format. Here, the article will introduce you the two ways in detail. 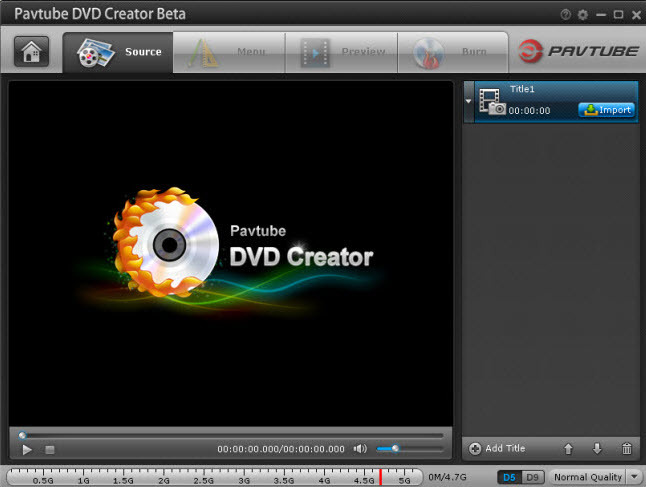 Pavtube DVD Creator is an easy-to-use DVD-burning software. It can burn AVI, WMV, MP4, MOV, MTS, Tivo, etc to DVD video. The beneficial DVD menu customizing features allow you to change the DVD menu template/style, menu text, display aspect ratio and background, you can also set chapter maker and playback mode. 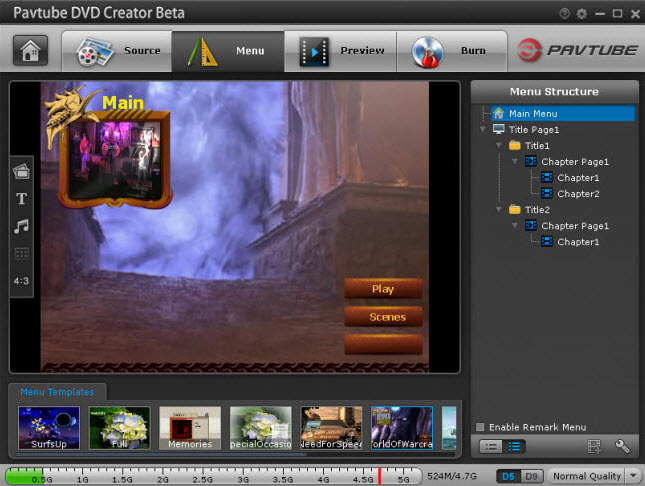 Step 1: Run the DVD Creator software, import WMV file into it for burning DVD disc project. Step 2: Switch to the menu pane, double click a DVD menu beneath the Menu Template to apply it to your DVD. You can customize the background video/image, background music, text, title thumbnail and more for your DVD menu. You can also choose the DVD quality at the bottom of the software, higher quality requires bigger DVD disc volume. Step 3: Click the “Burn” button to start burning WMV to DVD. Once the process ends, you can play your DVD burned from WMV on DVD player. If you are a Mac user, the equivalence product is iMedia Converter for Mac, which can change WMV to DVD player suitable format on Mac OS X 10.11 El Capitan. Now, you can get it at 20% off discount. Start the program on your computer, click “File” > “Add Video/Audio” or “Add from folder” to input your source WMV files to the application. From “Format” bar drop-down option, choose “VOB Format” > “DVD-Video Format – NTSC(*.vob)” or “DVD-Video Format – PAL(*.vob)” as output format. Note: PAL and NTSC are analog television systems. PAL format is common for Europe and Asia. PAL is used in almost all Western European countries, Australia and in some countries of Africa, South America and Asia. NTSC is a Color TV standard for the United States, Canada, Japan and other countries of North and South America and Asia. Tip: DVD player only accepts VOB format encoded with MPEG-2, so you can open profile settings to make sure or change the codec is MPEG-2. 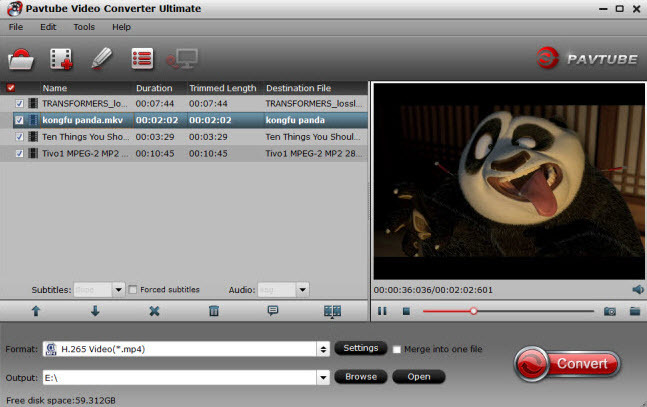 Hit right-bottom convert button to carry out the conversion process from WMV to DVD Player supported VOB. When the process finishes, open output folder to locate the generated VOB file for DVD player. Both the ways are easy to operate. You can choose any one of them to help you play WMV file on DVD Player. How to Watch Blu-ray Movies on OPPO DVD Player with Lossless Multi-track MKV?